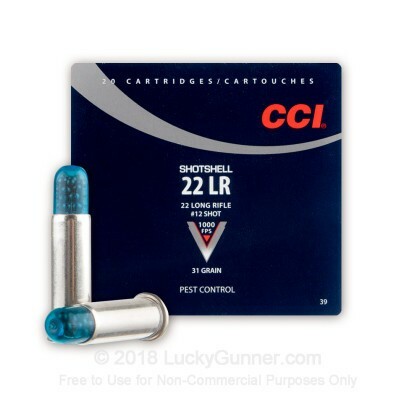 CCI continues to set the standard for quality in the 22 Long Rifle (LR) cartridge. Newly manufactured by CCI, this load is designed for pest control such as killing rats, mice, and snakes at close range (under 15 feet). This snake shot is an ideal load manufactured to the high standards that you've come to expect from CCI utilizing their clean burning propellants designed to keep actions cleaner. This cartridge is not intended to cycle semi-automatic firearms. These are fun little rounds. Frankly a tad pricy, but a good round as a first shoot deturant or for killing snakes around the farm. They do not cycle in semi autos and I will not use them in a rifle. Best out of a revolver like a Ruger Single 6 or a NAA mini revolver. Rounds work great for rodent control, no matter rifle or pistol. Awesome Service!!! I ordered on a Monday, and Lucky Gunner had it to me by Wednesday. Great customer service!!! I will be ordering from them again for sure. Only place I could find them!! i had a hard tine finding the lr22 shot shells. your company came throught.thank.you. i use those for shoting up my chimney to clean the creosote .because the roof is to slippery to clean in the winter. Lucky Gunner's customer service is the best. 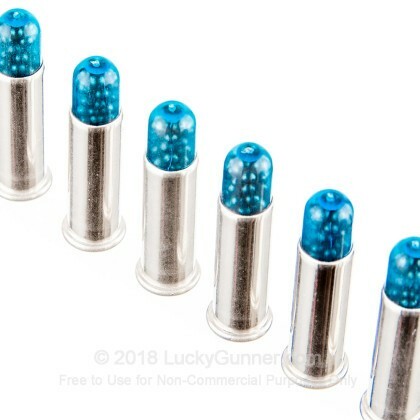 Great bullets! works well no problems I would buy again. Haven't seen these in a while thanks Lucky. Great shipping great site. I HAD NOT BEEN ABLE TO GET THESE BULLETS FROM ANY WHERE ELSE. THEY CAME QUICK TOO. Q: One of the reviews mentioned these will not cycle in a semi-auto. I am wondering if that is true, these look like fun to shoot. However the only .22 I have is a Ruger Mark IV .22/45. 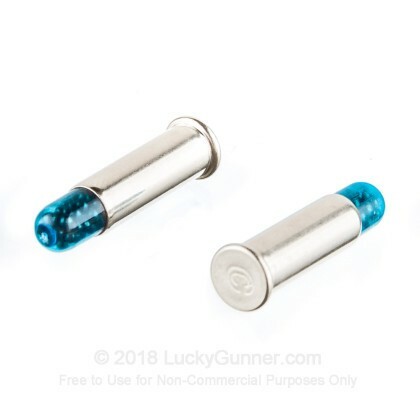 Will these work in my Ruger or not? A: What a great question, Temple! While a few semi-automatic firearms might not have an issue cycling this round, this cartridge was not designed to nor is it intended to cycle semi-automatic firearms. Thank you for taking the time, and if you should have any other questions, let us know! 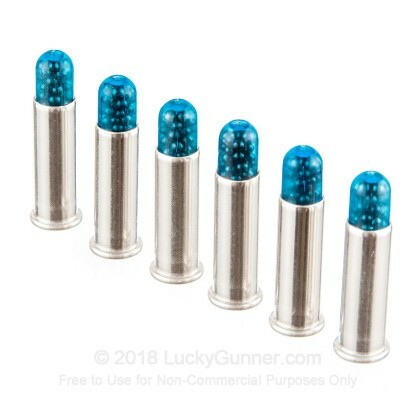 Q: Will these shotshells work in any normal .22LR? I have an old Ruger .22 I got from my grandfather when he passed, and wouldnt want to ruin anything. I can dig up the model if needed, but I'm not near the gun to give that now. Thanks in advance for any info! A: These .22 LR shotshells should work in your Ruger. 22 LR, or long rifle, is the most common of the 22 calibers. However, be sure to check on the barrel or near the chamber of your rifle. It should say exactly what caliber the firearm is chambered for and that is the best way to know. Thanks for taking the time and please let us know if you have any other questions. A: The Heritage revolver has been known to shoot both the .22 LR and .22 Magnum (WMR) cartridges. It is best to check for markings on the barrel and interchangeable cylinders to make sure this is used in the correct one. This CCI ammo will work well in the Heritage revolver.